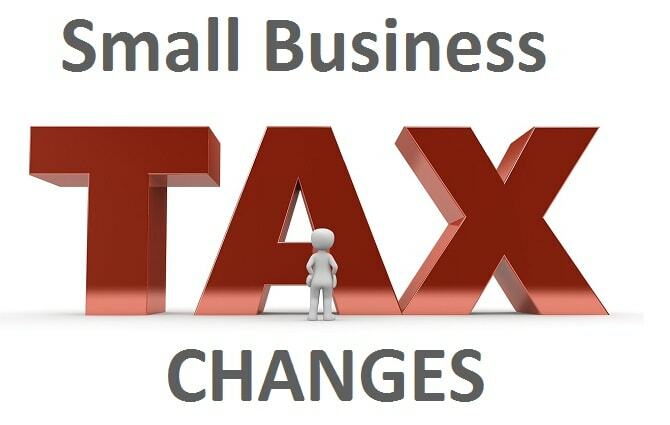 With the mandate of leveling the playing field between the rich and the middle class, the latest proposal from the Trudeau government is to make drastic changes to the way that small business is taxed, specifically, Canadian Controlled Private Corporations (CCPC). I will admit that as a small business owner, there are a number of tax strategies that can be advantageous to the owner, more on this below. While I’m not a tax expert, I’m going to explain these proposed changes in the way that I understand them. If you are a tax expert, please feel free to chime in. The government plans to target: income splitting strategies; passive income investing within a corporation; lifetime capital gains exemption; and the ability convert income into capital gains. So if a specialist Doctor annually distributed a $150k dividend to her stay-at-home spouse, the Doctor would need to prove that her spouse provided the equivalent labour. Going forward, this will likely result in the Doctor issuing a smaller dividend and creating some sort of administrative role for the spouse that supports the business. While there is still time 2017, one strategy would be to issue a large dividend (or salary) to a lower-income spouse before the rules change. Also, going forward, dividend sprinkling is still a viable solution for adult family members providing that they have a clear role within the company and the compensation is within market rates. As many of you know, I use my corporate cash to invest in dividend stocks. Investment income within a corporation is taxed at a high rate, however, if public dividends are flowed through to shareholders, the dividend will be taxed at the shareholder’s personal tax rate. Related: More info on the corporate dividend strategy and how to build a dividend portfolio. The perceived advantage is that corporations can invest more upfront due to the lower small business tax (on revenues up to $500k). In other words, there are more after-tax dollars to invest with compared to if the money was withdrawn to a shareholder, personally taxed, then invested. The proposal is not clear on the exact changes with passive investing within a corporation, but one proposed change is to eliminate the capital dividend account (CDA) from passive investment income. The CDA basically allows 50% of the capital gain to flow through to a shareholder tax-free, and the other 50% to be taxed at a high corporate rate (~47%). I suspect that they’ll come up with more schemes to make it very unattractive to build a portfolio within a corporate account. Some good news though, there is some indication that existing corporate passive investment accounts will be exempt. With the possibility of the elimination of the CDA, an idea is to crystallize your capital gains by selling profitable stocks in 2017 and buying them back. As of 2017, a corporate business owner can sell the shares of their corporation and receive up to $835,714 (in capital gain) completely tax-free (certain rules apply). Under the current rules, if more than one family member owns the company, the capital gains exemption can be multiplied. Under the new proposal, the capital gains exemption will be denied by: shareholders under the age of 18; trusts; and individuals who do not fit the “reasonable” test as indicated above. In essence, say a married couple owned a corporation 50/50 valued at $2M, but only one spouse built and worked in the company. In the past, they would have about $1.67M in capital gains sheltered from tax. Under the new rules, only $835,714 would be sheltered. If you were looking at selling your company, if it makes tax sense, push to make it happen in 2017. There are also fairly complex tax strategies that you can use that will crystallize lifetime capital gains exemptions but this strategy requires a good accountant. In this strategy, shareholders receive retained earnings from the company as a capital gain rather than a dividend. In some cases, this would have a tax advantage, but this strategy is not common and the first I’ve heard of it. This loophole has been closed as of July 18, 2017. I have always believed that it’s not how much you make, it’s how much you get to keep after paying the tax man. It’s understandable for people who makes a bit of money to want to keep more of their money. I have no issues with providing incentives for people to keep of their money if they are disciplined. The only thing is fairness. For any type of incentive, the rule need to be feasible for all Canadians to take advantage of, not just the one with a certain level of income. There are a few things that I find a little disturbing about this whole thing. First is the whole use of the term “fair share” giving the impression that small business owners are not pulling their own weight tax wise. Small businesses create work for people (employees) and gives them an opportunity to earn an income. These employees then pay income tax as well as spend their money paying more tax on the goods that they purchase. Second is that it is assumed that all small business owners are wealthy. There are a lot of small mom and pop shops that struggle to even make payroll. They give up paying themselves in order to make sure that their employees get paid. At the end of the day, using these tax strategies that Trudeau wants to get rid of are the only way that many small business owners can live. Third is that most salaried employees get benefits (health savings plans, group RRSP’s, company pensions, etc). Small business owners get no such luxuries. The only tools they have to work with are the tax advantages of being a business owner. Finally small business owners assume a lot of risk often putting up their own money to start the business. With this risk, there needs to be some kind of compensation. Currently that compensation is the money they save using the tax strategies discussed in the article. If small business owners are to be taxed the same as a corporate salaried employee, then why even assume the risk? I do not see these changes as a good thing for Canada and can foresee that with this, and the increase of minimum wage, that a lot of small business will never start or are will close down. I agree, these proposals are very much against small business. The tone of Morneau’s announcement is very unfortunate – that somehow small businesses are not paying their “fair share” and comparing a small business to a person receiving a salary and pension and benefits implying they are equal. Only someone in Ottawa on a salary and pension would think like that. You say, “Small businesses create work for people (employees)” but I bet half of CCPCs are individuals providing professional services (consultants) like me, who have no employees. I agree with you for CCPCs that employ others who are arm’s length, so maybe the govt needs to differentiate. But let’s also admit that many CCPCs are set up solely to reduce taxes. Russ, physicians are in this category. They were allowed to incorporate in lieu of a fee increase as part of a negotiated settlement, about 15 years ago. There is no mention in the proposal of a replacement fee increase or replacement pension like the politicians have, which is why physicians are so upset. There has also been no discussion about a fee decrease given the corporate tax rate has decreased 5% (in Ontario) from when the agreement was signed and amount that the small business rate covers has increased from $200,000- $500,000. They negotiated the right to incorporate and that’s not being taken away (oh and many have really benefitted from it versus a small fee increase). Doctor’s would have been even more enraged if the government tried to negotiate decreases every time the corporate tax rate was cut and the small business amount was increase. The Ontario government doesn’t have much say in the federal tax code. Actually, the provincial government continues to arbitrarily withhold, at source, 7% of doctors’ income every month. This letter to the editor by a recent graduate shows the effect of that. Hi Grant, I can’t seem to reply to your comment directly so replying to my own. Doctors are indeed upset about those cuts but they weren’t in any way related to changes in corporate tax rates (and they may get them back in arbitration) and some may choose to leave but I’m not overly concerned that this will be a huge exodus of doctors. For one, it is hard for anyone to just get up and leave especially if you have roots in a community but beyond that, these new changes might not even affect that many doctors. 40% aren’t even incorporated, many are married to other high earning individuals and minimally benefit from income splitting and there remain many great savings devices including RRSPs, TFSA, RESPs (if you have children), CPP (well debateable) etc. that they can still take advantage of. Plus there can still be a tax advantage to holding passive income in your corporation and other advantages to incoporating. Finally, Canada gains more doctors than it loses each year to inter-country transfers and if we really needed more doctors we could increase the rate at which we accept international medical graduates (many of whom are Canadian citizens) to residency programs as it currently (and has been for many years) below 10%. I guess I find it hard to believe than many would leave for a tax advantage that’s only advantageous if you make more than $200,000 and have maxed out your other retirement savings plans. Just make the wife your Social Media Consultant. Let’s see the CRA deal with that. I find it very strange that owners of corporations are not familiar with the one tax strategy that CRA hasn’t touched for the past 20 years – the IPP. An IPP (Individual Pension Plan) is like an RRSP on steroids – the corporation gets to deduct the retirement contributions, often times quite substantial, and the business owner(s) can accumulate far higher amounts for retirement than they normally would with any RRSP. So, you not only get tax deductions now, you have a much larger plan to fund your retirement. For family-owned businesses there can be tremendous advantages when it comes to passing the business to the next generation. As with everything, this will not be the best strategy for EVERY business owner, but it is certainly something that every owner should examine and decide whether it would be advantageous for their situation. I have found that most accountants are not very familiar with all the details of the IPP so they tend to dismiss them out-of-hand. I have even had accountants tell me that they won’t be bothered learning about IPPs because, after all, how will they get paid for those few hours they spend bringing themselves up to speed? Thanks for the tip Carolyn. I’ve written about the IPP many years ago, but did not dig into the details (https://www.milliondollarjourney.com/individual-pension-plan-ipp-an-rrsp-for-the-affluent.htm). Are you using an IPP? No, but I have several business owners who, when I explained the details of an IPP, decided to set up an IPP with me. You do need to deal with an adviser who is familiar with all the ins and outs of an IPP, since every business owner’s situation is different. I have been dealing with IPPs since 1998! In view of the proposed tax changes, doctors particularly should be very worried. A corporation provides them the opportunity to have an IPP. This wasn’t so very important 20 or more years ago when a doctor could sell their practice as a way of providing retirement funds in addition to an RRSP. Now it is practically impossible to sell your practice so, if appropriate, an IPP would fund their retirement. Carol, when I looked into IPPs a few years back you couldn’t manage the money inside the IPP yourself (you had to hand it over to high fee active managers), and their were actuarial compliance costs etc. One financial adviser told me of 10 clients that had had IPPs, only one still has it because of the extra costs, poor investment performance of the active mangers, and increased complexity. Has any of that now changed – especially could I manage the funds myself inside the IPP? Well, I can’t speak for the other adviser you mention. First of all, the costs are all disclosed up front when I run the quote for a prospective IPP client. There is an annual fee, plus an actuarial fee once every 3 years. I don’t use active managers so….I have used ETFs for clients since the first TIPS were around in 1999! I have been an adviser for 30+ years, believe I have seen just about everything, and paying high fees for active management which usually (according to SPIVA) doesn’t outperform the benchmark indices, makes no sense. As for the complexity – I and the actuarial company handle all the paperwork. As far as I’m concerned, the business owner simply needs to speak with me about the investments just as as he/she would for any other account, and sign some papers when I drop by a few times during the year. As far as managing it yourself – I am no expert in this area (since I’m the investment expert!) but, if you could find a credit union or another financial institution who would be comfortable with doing all the paperwork to open an IPP, I don’t see why you couldn’t be managing the investments yourself. I really don’t know whether an “online” broker such as RBC/TD etc would be willing to work with you at setting up an IPP. I only handle IPPs in BC and Ontario. (1) would love to know more about how these changes affect buying a whole life policy via your corporation and borrowing against it to invest either immediately- strategy known as- IFA- Immediate Financing Arrangement or later on. (2) when you say income sprinkling affecting high net worth families, how does the use of family trust to pay for dividends to adult children change in future? Any thought? Hi Bee, thanks for the comment and questions. I will look into these for you. Any accountants out there that can provide feedback? Thanks for the comment Tim. Yes, converting revenue to capital gains has been closed. I believe that was a rarely used strategy, one that I never heard of until this new proposal. Thanks for all this info. I don’t understand the dividend issue. If a family shareholder receives a dividend from the corporation, why does he/she need to be contributing to the corporation? Salary yes, but why a dividend? I own shares of BCE and receive a dividend, but I don’t contribute to the company. Are the rules for privatize corporations different? Thanks. I agree with you Loren, but dividend sprinkling within a private corporation is currently viewed as a tax loophole that needs to be addressed. However, they aren’t completely closing it off providing that the dividend meets the “reasonable” test as indicated in my article. I think the concern is that one can have different share classes for different members. So dad doesn’t get any dividends this year, but mom gets 50K and the kids each get 40K. Being able to pick and choose each year what the dividend break down is going to be based on various things (other income for each person, maybe income requirements for student loans, etc) is the concern. In BCE for example, every common shareholder gets the same dividend. You don’t get the option of taking no dividends this year, but taking extra next year since you’ll be on maternity leave and have little to no income. I would add that you (probably) paid market value for your BCE stock and that option is available to anyone. In a private corporation, you could (I believe) created different types of shares and have your children (or spouse) pay very little for these shares and then pay them however much dividends that you feel like even if they didn’t do any work or put in a meaningful amount of capital. Scott, it may be difficult for established doctors to move, but it’s the new graduates, many of whom are single and very mobile, that I’m concerned about. If you were 30 years of age with $200k plus of student debt and in great demand south of the border, and both provincial and federal governments are reducing your income, what would you do? I don’t think it makes a lot of sense to train Canadian doctors, then when they leave, have to admit foreign medical graduates to residency programs to replace them. You may not realize that the main benefit of incorporation for most doctors is that it is effectively a tax deferred pension plan, which obviously kicks in at income levels much below $200k. I wouldn’t be so sanguine about a possible doctor shortage. I can really only speak to my wife’s experience (recently graduated doctor) but even after the cuts Ontario doctors remain well paid (most in Canada are, Quebec being the only place that seemed low). It would have taken an exceptional raise for us to move south and this is true for the majority of her classmates. A person receiving a pension may receive 70% of their pre retirement income no matter how high their pre retirement income is. Unfortunately RRSPs and TFSAs max out at about 150k income with regard to tax deferral opportunities. Investing within a corporation allows tax deferral (income smoothing) beyond $150k, thus matching the advantage someone has receiving a salary and pension. I think it’s only fair that small business owners should have that same income smoothing opportunity as those with a salary and pension. What about an employee who makes the same as a doctor (200-400K)? What opportunities do they have for income smoothing or tax deferral opportunities? Engineers, directors, managers, scientists, etc. Anyone in the upper ranks of a large company. None. That’s exactly why the there should be no income limit to which the 18% RRSP contribution calculation is applied. That would help level the playing field between those with a pension and those without a pension. Surely that’s only fair? I feel like somehow you’re now making the argument that there are not sufficient tax deferral techniques/venues for the super wealthy and well I disagree but to your point about investing in a corp allows tax deferral, that’s not going away. What’s being changed is what the gain on investments are being taxed at. They are trying to make it so an employee and a owner of a corp have investments taxed at the same rate (when held outside a registered account) and based on the examples I’ve read the proposed changes accomplish that. No, that’s not correct. Under the proposal if income is left in the corp the investment income will be taxed at such an onerous rate, you might as well take the money out, thus losing all the benefit of the current tax deferral. Why do think people are so upset about it? Currently, income from the tax deferred capital is taxed at one’s marginal rate (actually a bit higher). The benefit comes from compounding of the investment income, over the years, from the deferred tax. Take that away, then why bother leaving the money in the corp? I don’t see why you wouldn’t think it’s only fair to give higher income people on a salary without a pension, similar access to tax deferred accounts as those on a salary with a pension. Money left in the corp is for reinvestment purposes in the business, not as passive investment. That’s the way that most people see it. That may not be what it’s been used for. The 18% RRSP limit is fine. Increasing or eliminating that would not be helpful for tax coffers and would only benefit the wealthy few. As for income/dividend sprinkling, perhaps they change it so that CCPC’s can have different classes of shares with different voting rights, but dividends are an all or none affair. All classes of shares get dividends in the same value, or none of them do. If you believe that the 18% RRSP limit is fine, then in the name of fairness, any salaried person with a pension should have their pension contributions capped at about 150K. I note that some of the academics and politicians making the current proposals are in this category. I doubt there’s many people in that category. I’m no expert on the topic of pensions, but I would assume pension contributions are only tax deferred up to the similar 18% of salary, with anything above that being taxed. Or they don’t get to contribute the excess, similar to how the CPP works (though with a higher limit compared to CPP). Kevin Milligan does the math on passive income http://blogs.ubc.ca/kevinmilligan/2017/09/04/taxation-of-passive-income-in-a-private-corporation/ and says it’s 5% advantage over 10 years on taxes on the passive income held in a corporation and that the finance proposal would eliminate that specific tax advantage. Notably the tax deferral benefit of keeping money in a corporation remains and is still a reason for people to hold money in their corporation. I don’t think this is a particularly big change on people who have maxed out their TFSA, RRSP, etc but that’s merely my opinion. And no mystery why people are upset. These proposals increase someone’s taxes and no one likes that. The income splitting proposal in particular targets a very effective tax avoidance technique that a number of people use but it’s being targeted precisely because it is such an unfair advantage compared other forms of taxation. That’s not correct. The tax deferral benefit of keeping money in the corporation is eliminated. That’s the whole point of the proposal! As I understand it, one could still keep money in the corporation. But investing it passively within the corp would draw extra taxes. One could keep cash in the corporation (without passive investment for a variety of reasons). Lower financing costs, future maintenance and capital purchases, general working capital. Just look at this example (I’m only using the Federal rates cause I know them off the top of my head) if I make $300,000 and only need $250,000 in that year, I keep $50,000 in my corp, I only pay the small business rate of 10.5% so say ~$5,000 but if I had taken it out I would have paid 33% or $16,500. That extra $11,000 is a tax deferral. Next year when I’m on parental leave and have no income I can take that out and be taxed at lower amount of when I retire in 25 years and I’m in a lower bracket those are both tax deferrals and still available to corps. It kind of also encourages reinvestment in your business possibly leading to better efficiency and innovation. You are missing the main point of deferring tax in the corp. It’s the income from the deferred tax that compounds over the years that you do not have if you didn’t have the deferred tax in the corp, that matters. If you are in a lower tax bracket when you retire, that is an added benefit, like an RRSP, but many people are not. You’re right, if the sole reason you leave money in your corporation is to passively invest it and use it to fund your retirement then the proposed changes to the taxation of passive income will make the advantage of leaving this income in your corporation minimal compared to taking out the money and investing it. I’ll contend there remains a small benefit due to effective tax rates and credits when you pass 65 and are withdrawing from your corporation but acknowledge that it is probably pretty small. There are non-tax advantages to leaving money in your corporation (as I see it) including a future decrease in tax rates, a future government may change the laws, or you may have an unforeseen business proposal that requires that capital, that you would not have had if you had been taxed at your personal rate. I guess the point I want to make is that this specific proposal to passive income will only affect a small minority of people. RRSPs, TFSAs and RESPs are all significantly better (and completely legal) vehicles for tax deferral or tax avoidance. People who should be most affected by these changes are already well prepared for retirement and among the wealthiest Canadians. You’ve compared these people to salaried employees with 70% defined contribution plans above $150,000 and jobs like that might be limited to MPs or MPPs. The vast majority of public servants make less than $150,000. I don’t know of a single public pension plan that funds 70% of their salary, even the Ontario Teachers Pension Plan maxes out at 60% and every university pension plan that I have seen maxes out at $150,000 or is a defined contribution plan with an upper limit. The type of person that this affects has considerable tax advantages already. They should have fully taken advantage of their RRSPs and TFSA which most Canadians can not or do not do. Keeping money in a corporation was (and still is) a tax deferral that a salaried employee does not have access to. The research I’ve done on IPPs and PPPs suggest that they can be even better than RRSPs and passive income kept in a corporation. If the government goes ahead and closes this particular loophole I wouldn’t be surprised if the number of IPPs drastically increases. Their effective tax rate versus their theoretical tax rate would have huge gap. Finally wealthier individuals are also able to take much greater advantage of the principal residence exemptions and the lower capital gains tax. Does this proposal make corporations a less efficient vehicle for personal savings? Yup, absolutely. Is it fair? I think so. Should corporations have significant tax advantages over non-incorporated individuals or employees? I don’t think so (my opinion) but they will continue to have advantages that aren’t available to comparable employees. I am in a situation where if I understand it, I could really get burned by this. I have taken a lot of chances in my career working on greater good projects, and had not saved much money. For my most recent projects I became more pragmatic and they pay well, more than $150k/year, so I thought I finally have a chance to catch up. Based on what was presented to me, I had shaped my corporation so I could balance my finances over time, or eventually start my own venture. But, while there is a lot of uncertainty, even maxing out my RSPs I will end up paying a large part of my earnings in taxes with lower retirement options than the “middle class” despite my skills and interests finally paying off. It’s not clear how the new provisions will work with regard to using excess profits in future years, which is a pretty standard small business requirement. I find in these discussions the assumptions are mostly around professionals with a fairly predictable career, who will have 20 or more solid years of paying off any debt then saving a lot of money. It seems like it is the worst possible news for someone like me who has tried to focus on more than available profits. There should be better options that support people who don’t have such a straightforward path and may need to shift their income over time past what an RSP provides, which is a facility a corporation provides today. davidm, what options do employees have that have a ‘good’ year? If they’ve already maxed out their RSP, as you mention, what options do they have if they get a large bonus due to a good year/economy/hard work? They don’t have any options. They have to pay the massive tax. Why should someone who is incorporated have access to this income smoothing (which means lowering of taxes) when the regular employee does not? But salaried employees also get significant advantages over incorporated citizens. You are talking paid vacation, sick leave, maternity leave, health and dental benefits. Frankly, it’s disincentivizing people to start their own business which will hamper growth. nobleea, I agree that’s a related problem which doesn’t fit the populist rhetoric of “middle class.” Currently, people in that position may have an option to incorporate to mitigate that reality. That option is being taken away. While I’m not against government or taxes by any means, people in the position of varying lifetime income, including lows and spikes, who would simply like a “middle class” outcome are not fairly considered. Aside from property and inheritance, which are in many ways much more unfair than a system based on work, and RSPs, which are most useful to people who are already secure, a corporation is the best way to do this. I’d like to see a proposal that created a lifetime envelop for individuals, whether they’re operating as an employee or using a corporation. That was presumably the intention of the $800k capital gains exemption, which is changing under these proposals. A rational approach would enable real chance-taking and creativity while being more fair to those whose trajectory involves more ups and downs. While the Liberal plan may come out as a net benefit in terms of overall taxes and I don’t disagree many people gain disproportionately from the current system, IMO it’s more about pandering than trying to find fair and simple approaches, and there will be many causalities. I agree there will be many casualties. These proposals are an attack on small business, and the unknown future impact of these changes will include loss of small business jobs for Canadians, reduced business and personal investment and less international investment as Canada may be viewed as unfriendly to entrepreneurs seeking to avoid high taxation.